By introducing native video ads to the app, and thanks to Mintegral’s ability to constantly optimize the ads thanks to the machine learning capabilities of the platform, All Football’s advertising revenues have continued to increase. 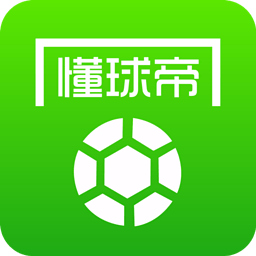 All Football is a Chinese app that provides global news about football and in-depth coverage and news about football communities. This soccer-fan community app features football-related news and user-generated content, and has been downloaded by more than 32 million mostly male football fans. With a monthly active user count of over 10 million and an average daily click frequency of 8-12 times per user, the app has a large and very active user base. Inside the application there are a small number of advertising slots for direct advertising, with the remaining ad positions sold programmatically. Since All Football is an information and news app that provides high-quality content, its developers pay great attention to user experience to ensure the maximum engagement. In order to seamlessly add native advertising into the content mix, Mintegral adapted the native ad format and presentation. It also made sure that the programmatic native ads reflected the interests and demographics of the readers. For example, advertising for mobile games delivered higher click-through and conversion rates compared to other subjects, and the greater engagement meant a higher eCPM. As well as supporting static native ads, Mintergral helped All Football to integrate native video ads for the first time as well. Video ads have been shown to further enhances the user experience, better capture the users’ attention, and increases the level of engagement. By introducing native video ads to the app, and thanks to Mintegral’s ability to constantly optimize the ads thanks to the machine learning capabilities of the platform, All Football’s advertising revenues have continued to increase. At present, Mintegral accounts for 40% of the total advertising monetization revenue of All Football, and has now become its long-term partner for programmatic advertising.